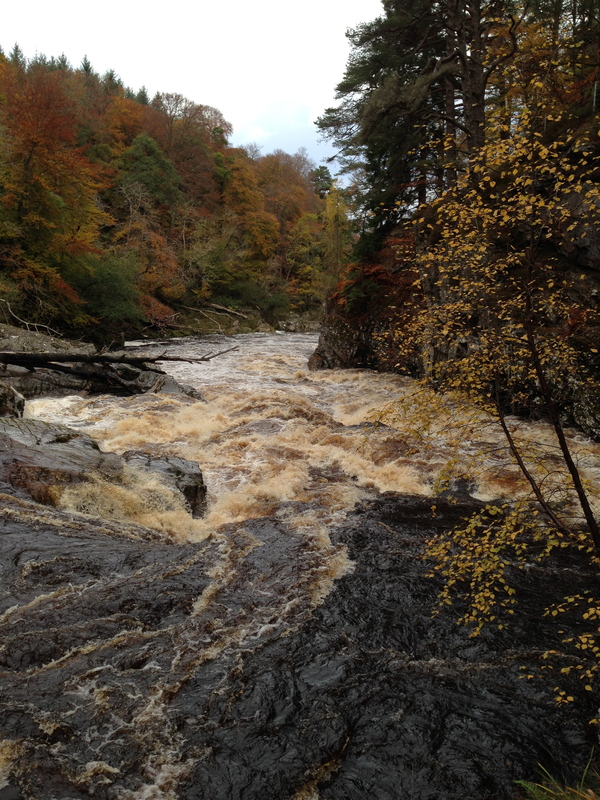 The Findhorn in spate was a childhood highlight. We’d hear the river roaring and go down to watch the flood squeezing through gorges. Then we’d jump with excitement on the bridge, following the branches passing below us and popping up at the other side. It felt dangerous and dark and we were exhilarated by the power. “Water’s a good servant but a bad master,” my father always said. And we’d nod but not really understand. It was only a half spate today but I was right back in my childhood.